Join a specialised Palaeontology guide to explore the remote canyons and deserted rock formations of the Sierra Baguales mountain range. Discover unique fossil collections dating back 40 million years ago. Meet your guide in Puerto Natales and transfer to Puesto Estancia La Cumbre approximately 150km away. 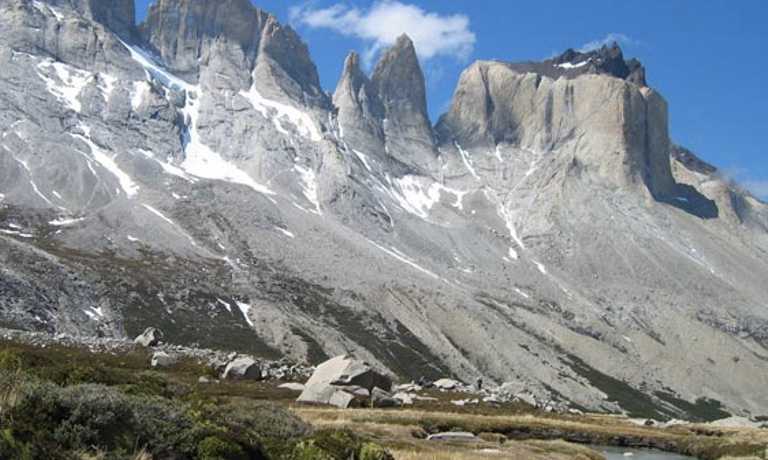 From the Visitor Centre, we'll trek to the Rodas Lagoon surrounded by towering rocky peaks. Our route will continue along the eastern bank of Baguales river. We will pass the crumbling remains of old estancias (ranches), reminders of the brave pioneers who first settled in this area. Once we arrive at the Puesto La Cumbre, you can shower and freshen up before we enjoy a shared dinner together. Today we will embark on the Fossil Circuit; a specialised palaeontology guide will lead the way. 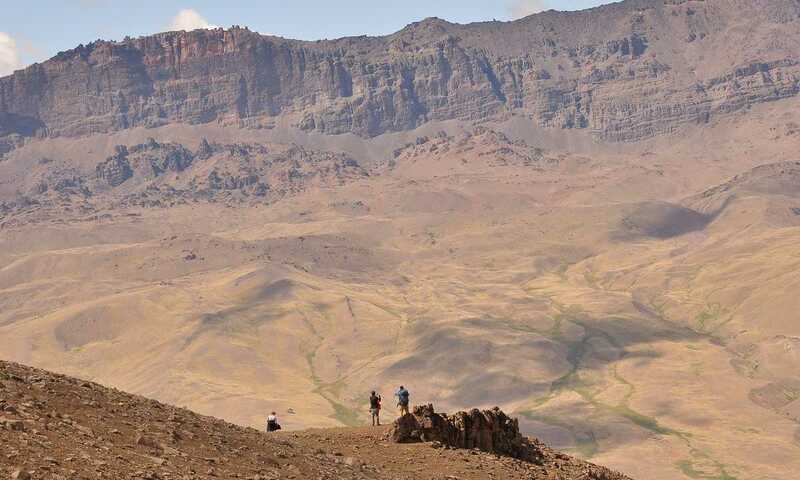 We will hike for about an hour to reach the first fossil outcrop known as the Leaves Canyon. There we will observe a collection of trunks and fossil leaves around 25 million years old (late Oligocene - early Miocene). We continue towards a viewpoint located 1,200m above sea level, to take in the incredible view of the Tetas de las Chinas rock formation. On the side of the cliff it's possible to observe clusters of sharks teeth around 40 million years old (Eocene Age). In the same area, you can see different types of fossilised mollusk belonging to the same period. Afterwards we will return to the Puesto La Cumbre. After breakfast, we will join a private transfer back to Puerto Natales. Price is based on a group of 4. The 2 person price is US $1315 and the 6 person price is US $850. This trip can run as a group trip, with prices starting from $910 per person for a complete group. If you are looking to join a group or you are a solo traveller we will help to form likeminded groups of travellers. Please let us know your travel plans.